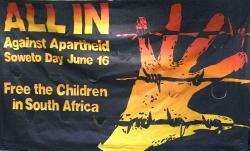 This banner was made for the first Soweto Day Walkathon in Chicago. It was also used in other Soweto Day Walkathons that were held annually for some six years. 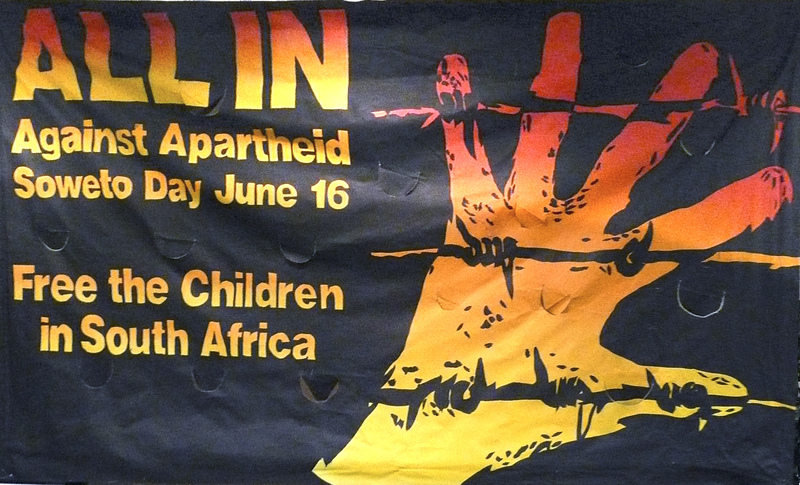 The photograph of this banner was taken by Basil Clunie at an event at the South African Consulate in Chicago in November 2008. Used by permission of former members of Coalition for Illinois' Divestment from South Africa.